Field shower for the decontamination of persons wearing (or not) personal protective equipment (PPE) with automatic mixer for our decontaminant product BX 29 certified as compatible to be used directly on human skin. 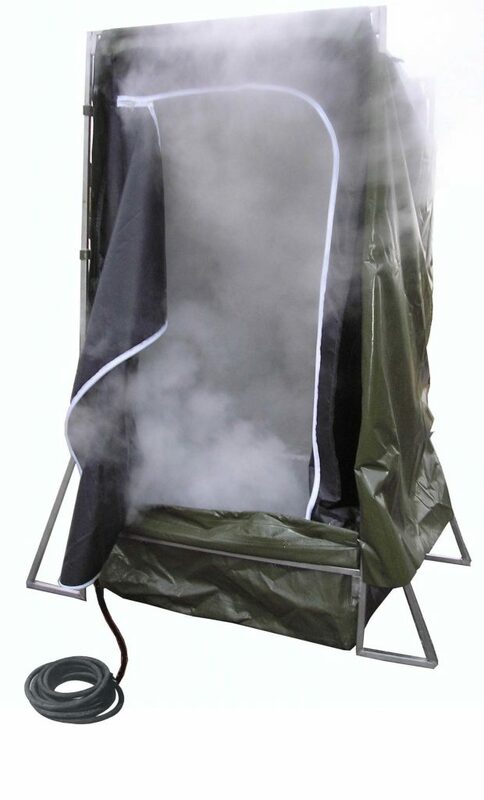 Decontamination of equipment (personal protection equipment - PPE) and materials with saturated steam up to 180°C (356°F). 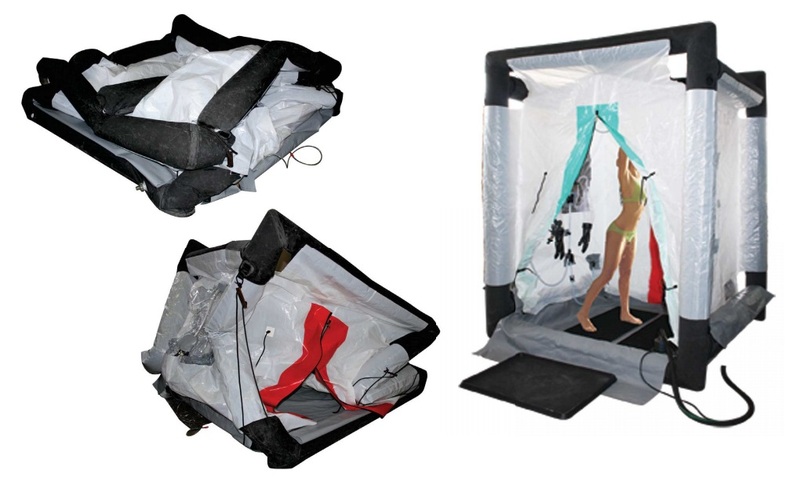 This inflatable shower tent is ideal for the decontamination of one person at a time allowing a quick and simple set up and installation (10 minutes). This inflatable shower ensures fast and easy cleaning operations of personnel equipped or not with Individual Protection Equipment (IPE). At the same time, it allows the evacuation of any contaminant liquids by means of a pump (IP 68 protection), supplied with the shower. 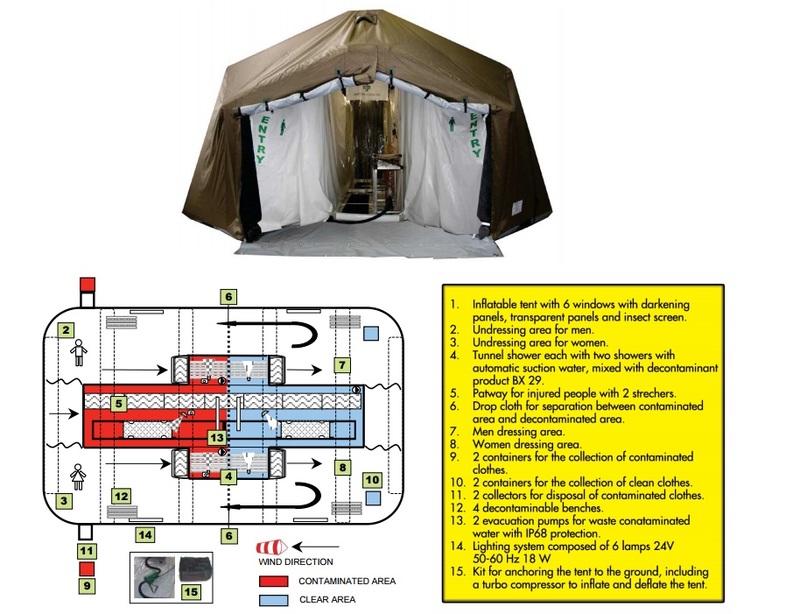 Tent for mass decontamination personnel, with automatic mixer for our decontaminant product BX 29 certified as compatible to be used directly on human skin with 3 separated pathways for men, women and injured people.